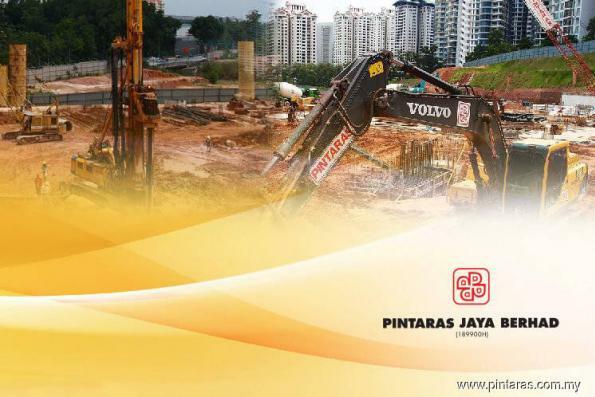 SHAH ALAM (Sept 14): Pintaras Jaya Bhd is expecting half of its revenue for financial year ending June 30, 2019 (FY19) to be coming from Singapore, after venturing into the island nation by acquiring a piling company there from the family of the group’s managing director Dr Chiu Hong Keong for RM16.71 million. At a press briefing after the group’s extraordinary general meeting (EGM) today, Chiu said the Singapore operation is likely to report up to RM200 million revenue in FY19, while the Malaysian business, which recorded a revenue of RM95.91 million in FY18, is expected to be challenging due to the slowdown in construction sector here. “Contribution from Singapore side will be very significant; there is a chance that revenue from Singapore would exceed the revenue contribution from Malaysia for FY19,” he said. Pintaras’ revenue for FY18 declined 50.5% from RM193.74 million in FY17, while net profit declined 58.3% to RM15.1 million, from RM36.25 million over the same period. “Construction sector in Malaysia at the moment is very down, property sector is the same as well. Operation condition is tough, and is looking to remain tough, going forward. In general, we can see the downturn, that is why we accelerated the acquisition in Singapore, mainly for the purpose of diversification,” Chiu said. “In Singapore, we think the opposite is happening, their construction cycle was down the past two to three years, now they are coming up again. Malaysia is the beginning of down, and Singapore is the beginning of up,” he added. Earlier at the EGM, Pintaras approved the group to takeover the Singapore-based piling company Pintary International Pte Ltd from Pintary Holdings Pte Ltd, which is controlled by Chiu and his family. After the acquisition, Pintaras could transfer some of its idle equipment to Pintary in Singapore, to save equipment rental cost, Chiu said. “There are synergies between two companies, because in Singapore we got to rent equipment, and in Malaysia, we have idle equipment, so after the merger, we can pass some equipment there and save on rental,” he said. For FY19, Chiu said the company is targeting secure RM150 million worth of contracts in Malaysia. “Last year (FY18), we were looking at RM250 million of job wins, but we did not achieve that, we only got about RM150 million, so this year (FY19), we target about RM150 million for Malaysia. In Malaysia, we have order book of about RM110 million currently, Singapore is about RM150 million,” he said. There are plenty of jobs in Singapore for Pintary to bid moving forward, despite margin being lower at single digit due to competition, Chiu added. “Just to give you a perspective, so far, we have submitted about SG$1 billion tender in Singapore since we went in about May last year; our current tender book is about SG$600 million,” he said. “Malaysia (however) is no longer business as usual, it is quite hard to predict. All we are certain is it would be tough, we can’t put a number on how worse it had gotten; all I can say is the slowdown is quite drastic. So we think in general, Malaysian companies need to start to look outside. “We just need to give the government a bit more time for them to settle down, and to think what policies and how they are going to reset the economy. After all, the people voted for this government, so we just got to be patient and see how it comes along,” Chiu added.